The increasing product complexity including more controls and software is driving the market towards systems engineering. Processes are transforming into model-based systems engineering approaches to support mechatronic product development. 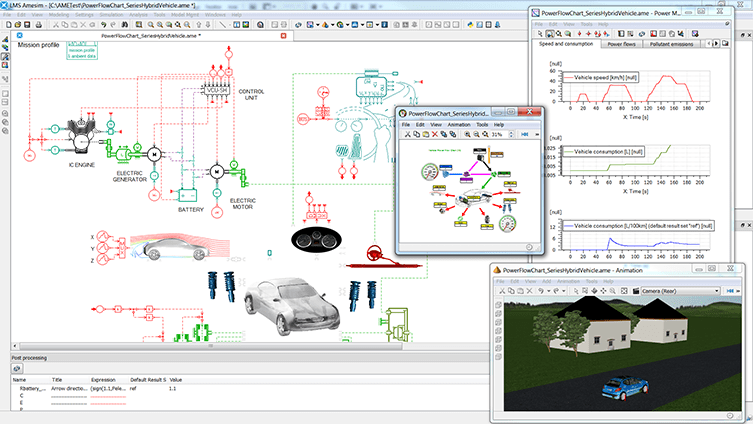 Multi-physics system simulation in combination with controls, also known as mechatronic system simulation, is essential to validate alignment to performance requirements during all development phases. With the new developments in the LMS Imagine.Lab platform, LMS answers the trend towards model-based systems engineering by making multi-physics subsystem and system models available as “plant” models to frontload controls engineering based on MiL, SiL and HiL development approaches. LMS is a solid choice for model-based systems engineering thanks to the latest developments in LMS Imagine.Lab Amesim. Geared towards mechatronic system simulation, the LMS Imagine.Lab platform offers an open approach starting from functional requirements to physical modeling and simulation.